As part of its 70th anniversary celebrations the Coventry Philharmonic Choir announced the appointment of its new patron Roger Coull. 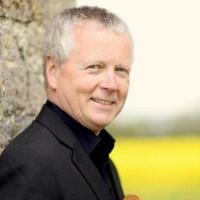 Mr Coull, leader of the renowned Coull Quartet based at the University of Warwick, was a clear choice for the choir because of both his local links and growing national and international reputation for excellence in classical music. Mr Coull was “absolutely delighted” to become the new patron, and is developing an ongoing relationship with the choir. Badgemaster supplies quality name badges of all kinds and is the Society's name badge supplier of choice.